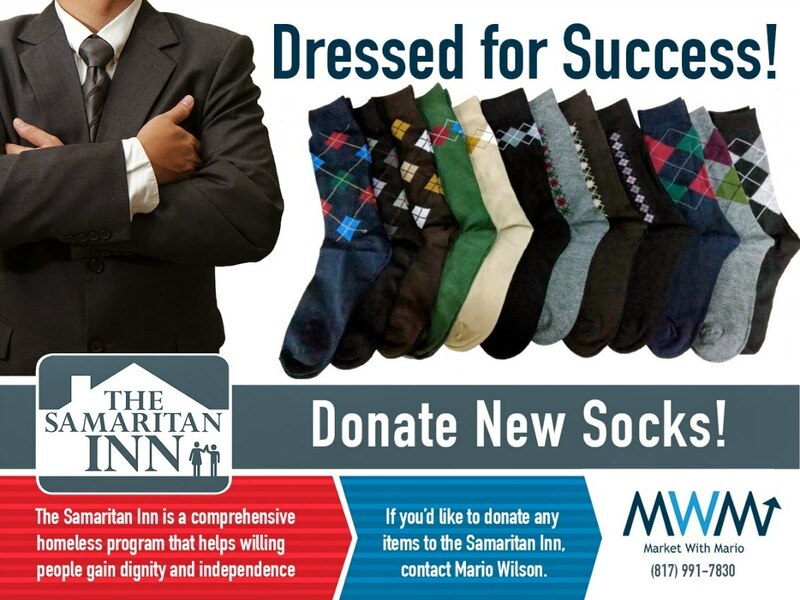 Please help us spread the word on our Dressed For Success campaign to benefit the residents of the Samaritan Inn to help them look their best on job interviews. Most donations consist of suits and shirts, but the residents are lacking the items to “finish” the outfits (belts, cuff links, scarfs, jewelry etc.) Right now we’re particularly in need of men’s dress socks. If you have anything to donate, let me know and I’ll pick it up and deliver it to the residents. Thanks!